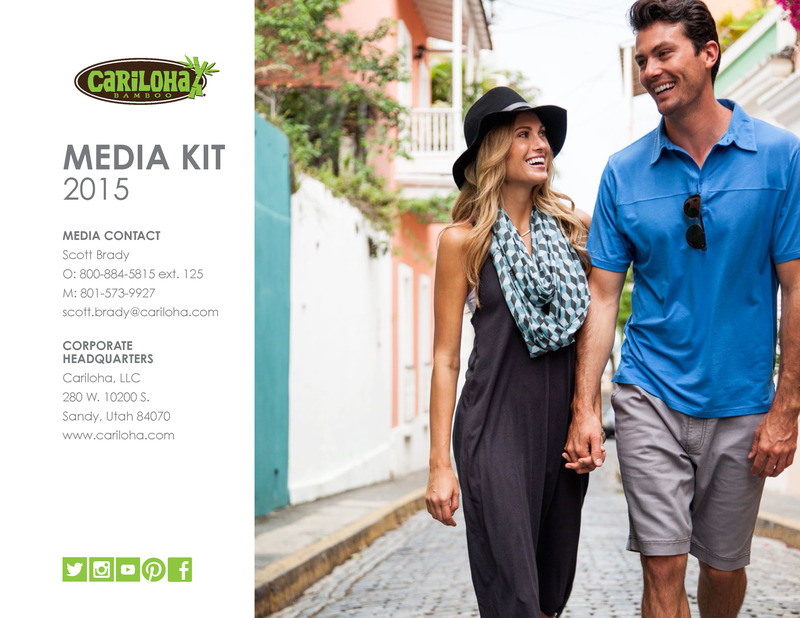 Cariloha’s made-from-bamboo sock line is available exclusively in Cariloha stores and online. SALT LAKE CITY – Cariloha this week launched its spring 2015 bamboo sock collection for men and women – all socks are made from eco-friendly bamboo-fabric blends and designed by Cariloha’s Product Team. Available exclusively at Cariloha stores and online, this season’s sock line showcases bold, new colors and designs that feature even more bamboo benefits and comforts than any previous sock line. All bamboo sock styles feature hand-linked toe seams for a seamless bulk-free toe, reinforced plush foot bed and toe for added durability and plush comfort, and compression-knit band on the sock arch for even more support and comfort. All new socks are offered in two sizes – Women’s (S/M 5-8), Women’s (L/XL 8-12), Men’s (S/M 7-10) and Men’s (L/XL 10-13). Cariloha’s bamboo socks have carried Cariloha-sponsored Miles 2 Give runners for 3,000+ miles across the USA and 10,000+ miles around the USA in 2013 and 2014. “Of all the socks I’ve ever worn for running or otherwise, nothing compares to the comfort, breathability, and softness of Cariloha’s bamboo socks – they’ve been on my feet for thousands of miles and never failed me once,” said, Landon Cooper, Miles 2 Give Founder and Runner. Cariloha Bamboo socks come with a 90-day quality guarantee. If the socks don’t live up to the customers’ expectations, Cariloha will replace them without reservation. Socks are machine washable and tumble dried low, so maintenance is easy and worry-free. You can see Cariloha’s entire spring 2015 Bamboo Sock Collection here.